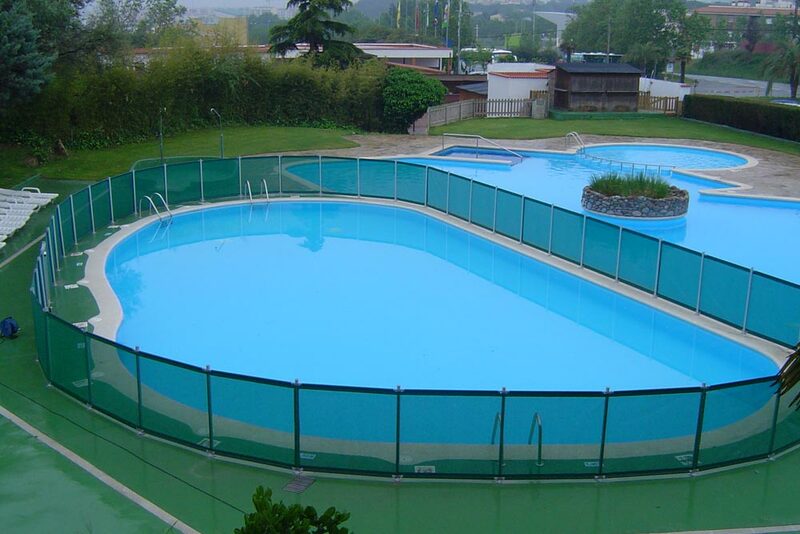 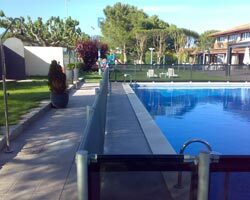 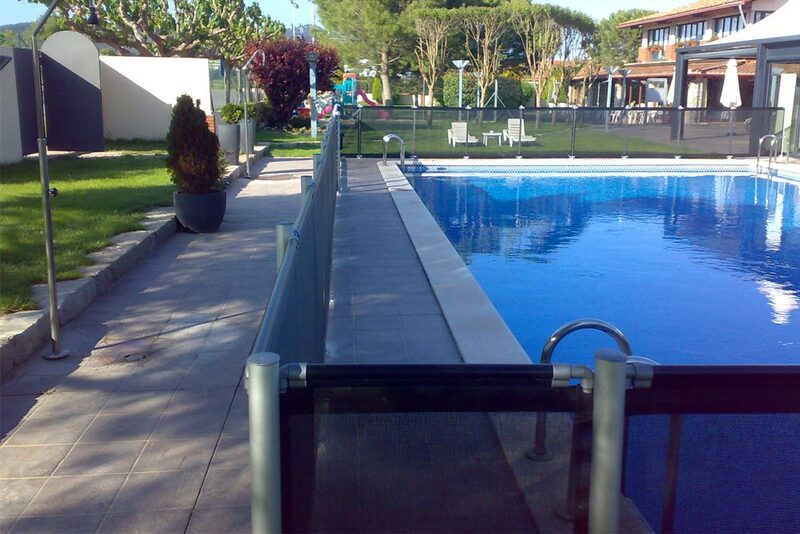 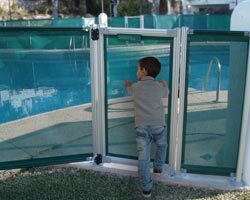 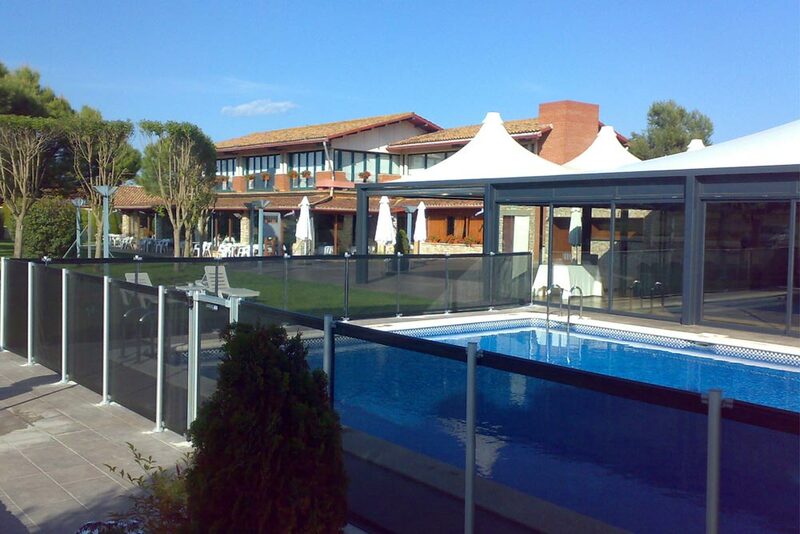 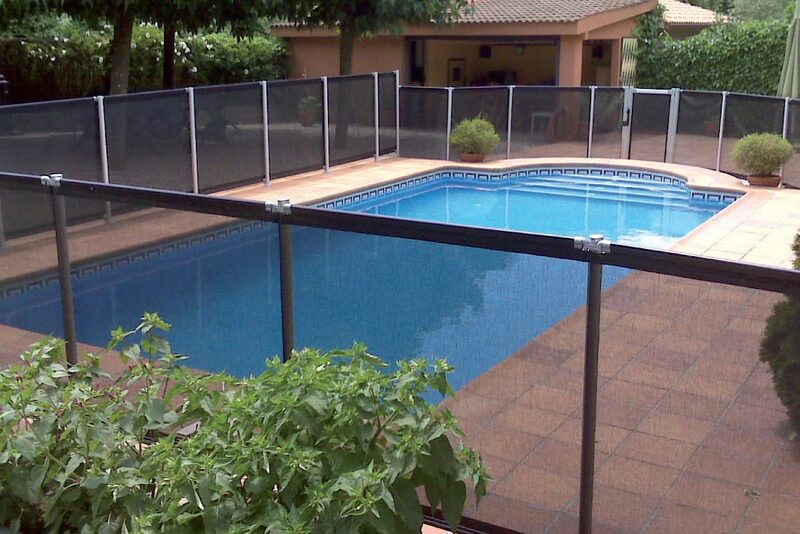 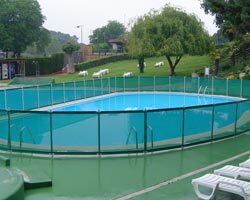 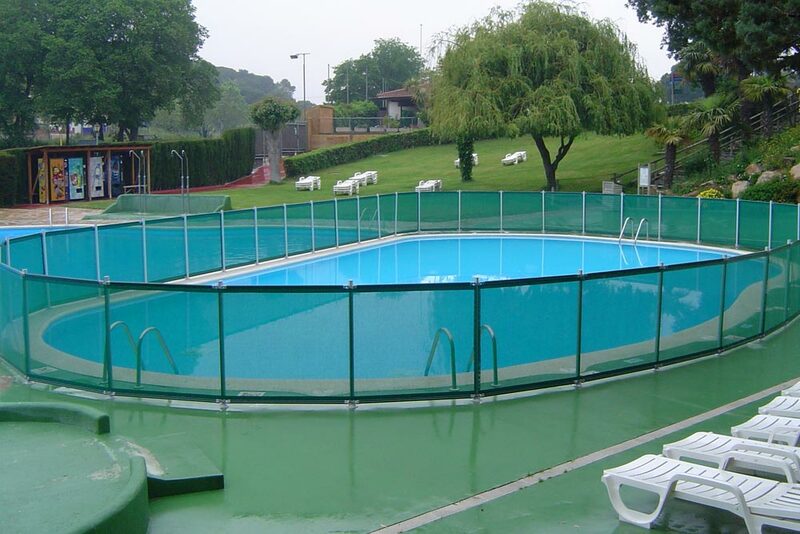 Created to limit the access of children under five to the pool, the pool safety fences are 1.22m high and meet the the AFNOR NF 90-306 regulation, with an L.N.E. 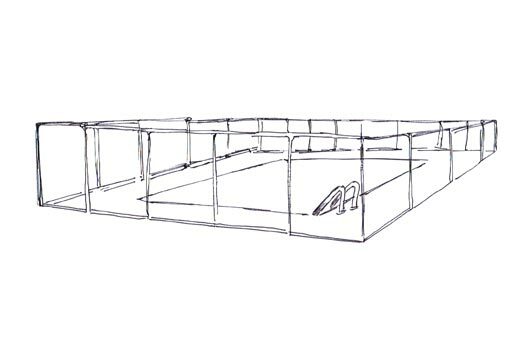 CERTIFICATE OF CONFORMITY at your disposal. 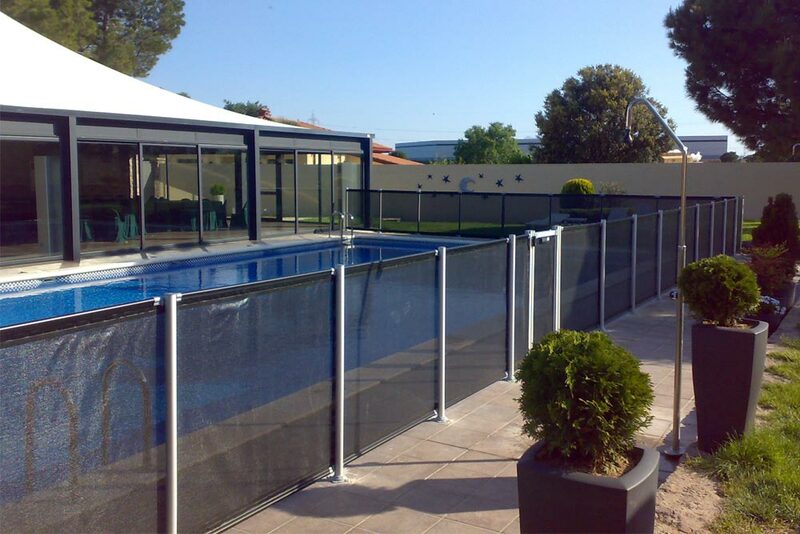 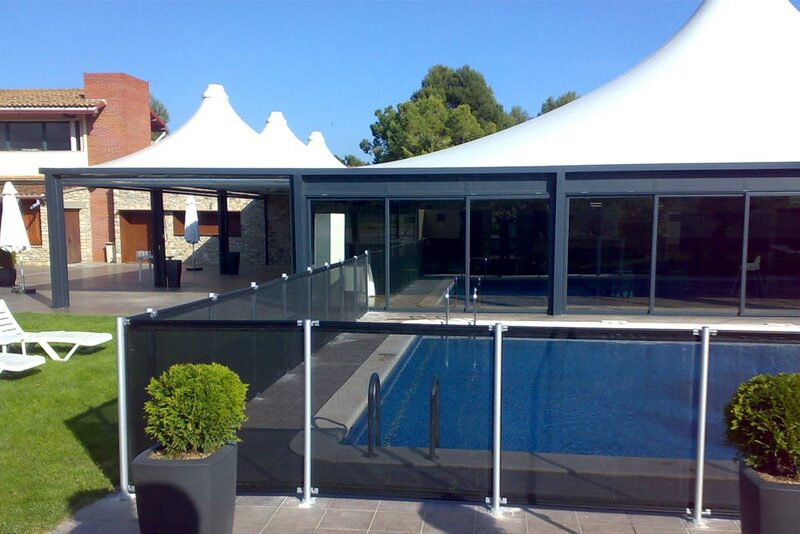 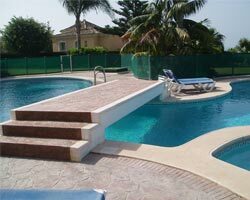 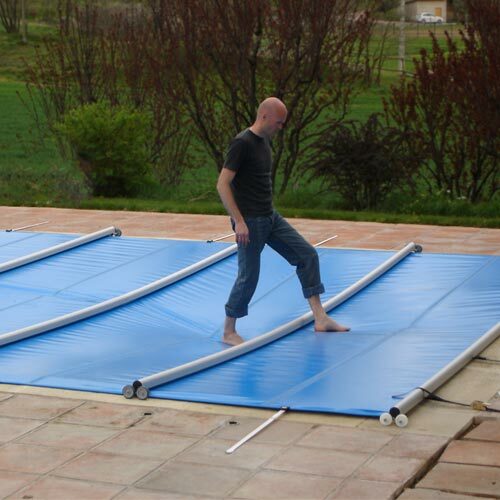 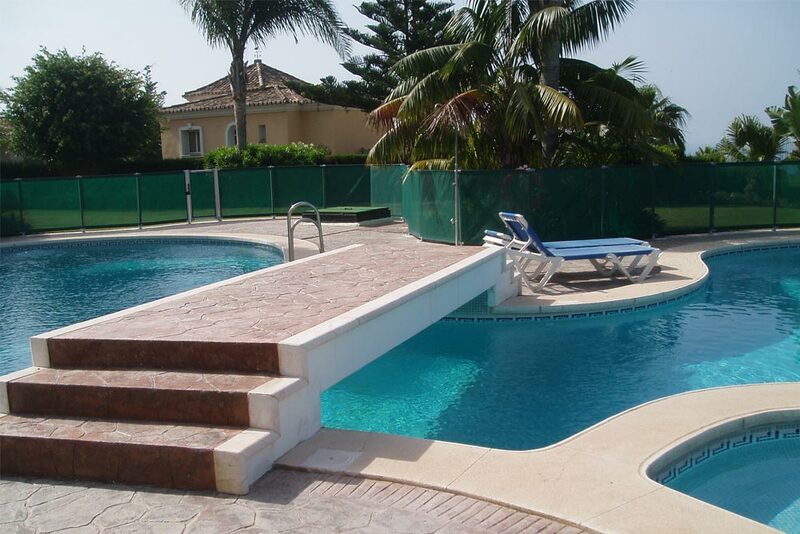 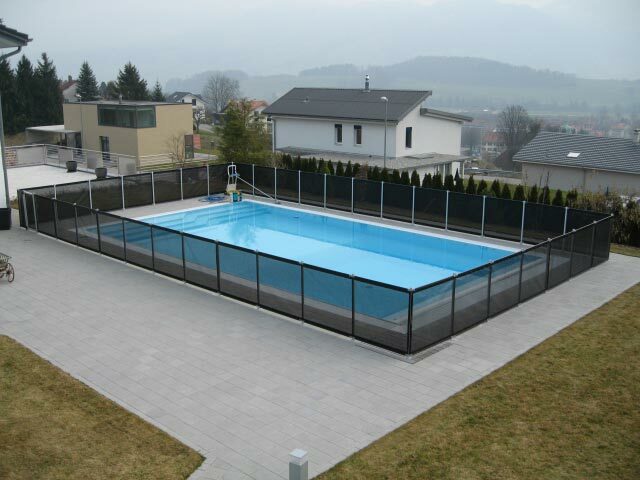 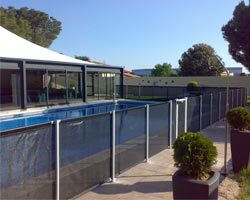 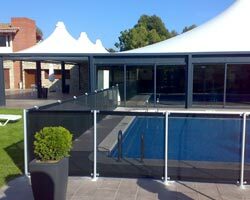 The best option to be able to enjoy your pool whilst protecting the little ones of the house. 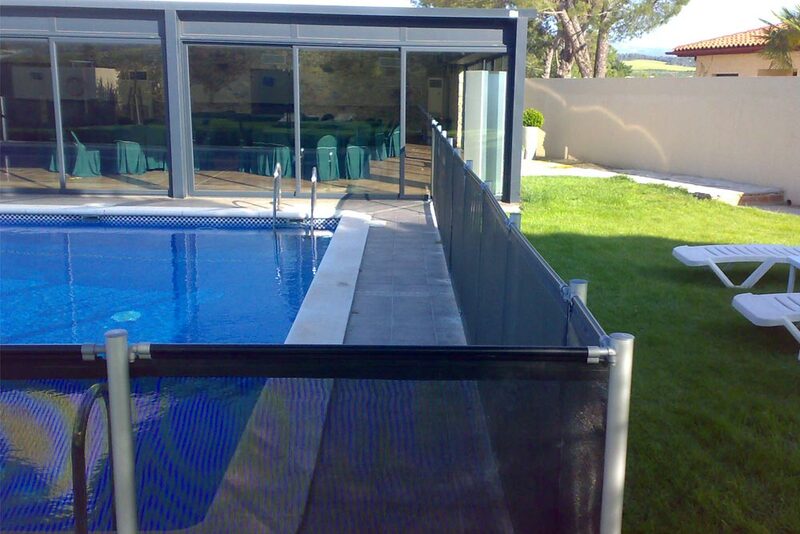 With an anodised or lacquered aluminium structure. 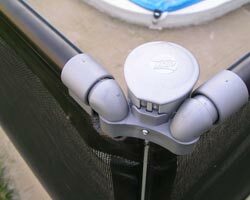 The posts are attached to the floor with moorings or expansion plugs. 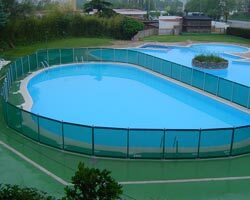 If it is removed and withdrawn, IT LEAVES LITTLE TRACE. 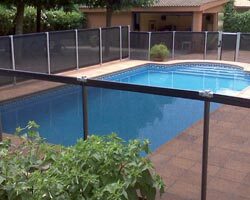 It has a mechanism to regulate the verticality which therefore ensures that all posts are perfectly aligned, even on a rough or uneven foundation. 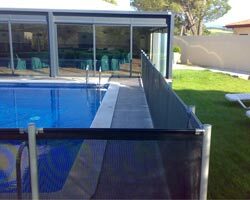 Due to the swivelling and telescopic joint at the ends of its side rails, the travelling direction of the fence can be changed by adjusting the length of the section and moving the side rails up or down, easily achieving a perfect tensioning of the netting. 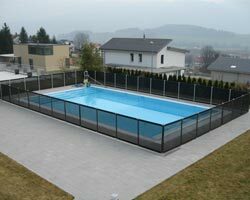 The sections can be shortened to ease its movement. 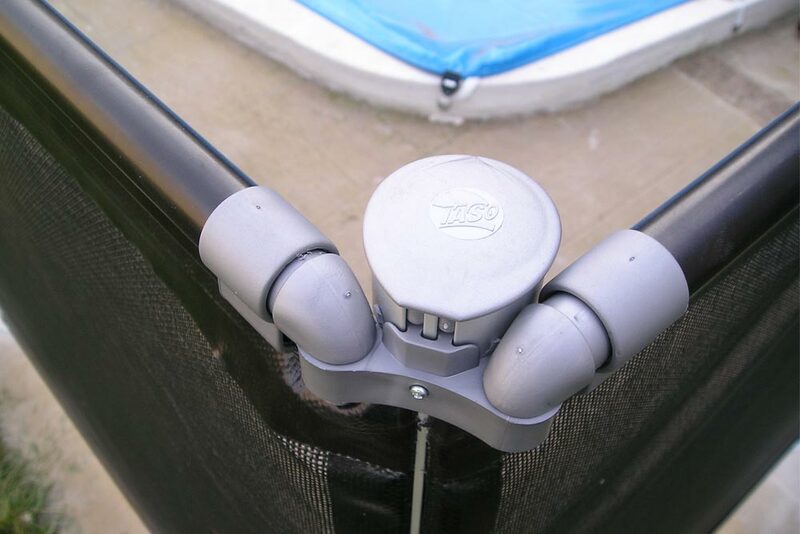 Our locking system has a double opening action. 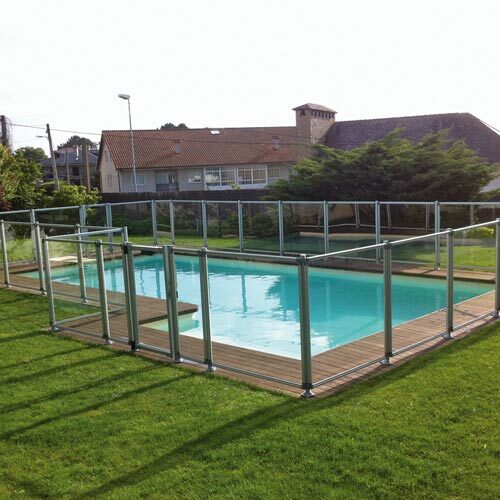 Inaccessible for children and very easy to handle for adults. 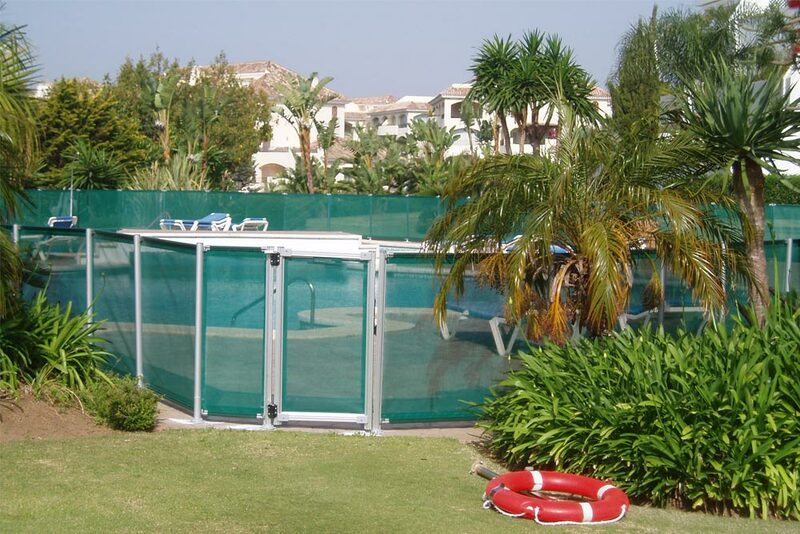 The door has an automatic return system, meaning it is always closed. 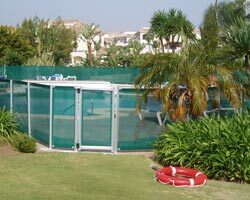 It has a lock and key to be able to secure the enclosure.